Although this month's newsletter deals with getting students ready for school, many of these basic skills are applicable to adults as well. Through the years, we've helped many "grown-up kids" set up their home office space and stock it with supplies so they can get their work done. We've helped them manage their time better through the use of planners - whether paper, electronic, or a combination of the two. And we've taken huge piles of papers, gotten rid of the junk, and set up user-friendly filing systems so they can quickly lay their hands on what they need when they need it. Really, it's all about setting up systems so you can get done what needs to get done quickly, with the least amount of hassle and frustration. Life just works better that way ... it's really that simple, no matter what the age! Organization is often the first step to achieve any goal. For many students, it's the toughest step. "Organizing is a lifelong habit, and when you learn it at a young age, the benefits are huge," said Terri Stephens, founding consultant for Real Order Professional Organizing. "One of the basic things for students is to have a planner with all their school and personal activities in one place. Color coding can be helpful and fun, so you highlight tests, scheduled study time and recreational time in different colors for a quick visual." Stephens has worked with several students while helping to organize families. "It's important to set realistic goals at the beginning of the school year and break down large goals into bite-size pieces," she said. "Most people also find it helpful to have it written down in a place you see on a regular basis. Life is busy and gets in the way, and it's easy to forget about the small goals." For study time, students should also determine how many study hours they need each day and put it into their planners. "If a student has to study three chapters in the history book, break it down into one chapter each day," she said. "You're learning life skills that are basic and carry you through. If you learn them at a young age, it can save a lot of pain later." The pool toys and sunscreen have moved to the clearance aisles and school supplies are now front and center everywhere. Retailers offer great deals on school supplies this time of year, often pricing items far below what they'll cost in a few months. It's a good idea to stock up on supplies that that will need to be replenished throughout the school year: crayons, markers, glue sticks, loose leaf paper and folders. Watch for clearance sales just after school begins for even bigger discounts. This is a great time to purchase backpacks and lunch boxes (for mid-year replacements or even next school year). Even if no one in your home is heading back to school this fall, take advantage of back-to-school sales to outfit your home office or craft room. You can also pick up school supplies to donate to charity. One local website shops the sales flyers for you, making it easy to find the best deals. SouthernSavers.com posts weekly ad prices and rebates from office supply stores, big box retailers and drugstores. You can even create a printable list to make your shopping trips more efficient. Getting organized is more than eliminating clutter and creating neat storage systems. One of the most important areas of organizing is task management. It's never too early (or too late) to teach kids how to get and stay organized with schoolwork. The skills they learn now will carry over into high school, college, and ultimately, their careers and home management as adults. Establish a great homework routine. With your child, determine the best time for daily school work and stick with it. 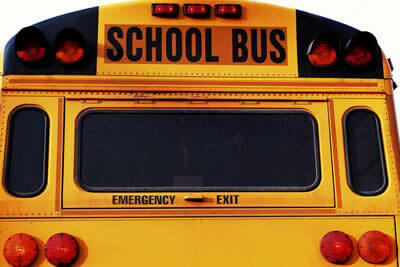 For some kids, it will be right after school. Others may need some downtime to play, and then it's time to hit the books. The most important thing is to stick to the schedule so your child knows what's expected. Set up the space. Have a designated study area, such as the kitchen table. But for unique assignments, allow for some flexibility such as moving to a rocking chair for reading chapter books. Create a school supply box and keep it well stocked with supplies (paper, pens, pencils, crayons, scissors, glue, ruler, sticky notes, calculator, etc.) so kids don't have an excuse to get up. Make sure you know what's going on at school. 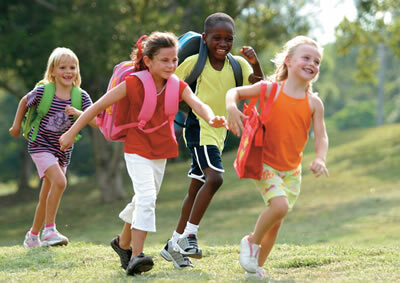 Instruct children to unload their backpacks as soon as they come home. Have them hang up their bags in a designated area (try a coat rack, pegs on the wall, or a wicker laundry basket near the front door). This allows for easy access the next day. They should bring homework to the designated study area. Check in each day so you're aware of their workload and take special care when they seem overwhelmed. Encourage the use of lists and planners. The older kids get, the more homework and activities they'll have. Teach them to manage their tasks with the use of simple lists or a planner/calendar of some sort. Office supply stores sell ones with cute kid-friendly designs and schools often provide or sell them. Use computer lists or PDAs for techie kids. When they learn of upcoming assignments, tests, or events, they should write them down in their planners. Encourage color coding. Color affects our mood and memory. Let kids pick the colors of their folders and notebooks to correspond to different classes. If green reminds them of science, then they'll know instantly to grab the green notebook when looking for their science notes. Free Gift with any Couponizer purchase. Beginning August 3, each Couponizer order will include a calculator pencil box. Visit the Couponizer website for more about this valuable organization tool and free gift! The Organized Teacher Discount Program saves teachers 15% on all their purchases (in store and online) at The Container Store. Sign up today and start saving! What does it really mean to simplify? Do you have to give up all of your worldly possessions and move to a hut in the woods? Not exactly. Simplifying is about having enough without having too much - cutting back on unnecessary spending, slowing down, and focusing on your true priorities. For one person, this means working fewer hours, a cut in pay, and more time with the kids. Another may choose to move closer to work, buy a smaller home, and clean out some unused junk. And a third person might just start saying no to the daily barrage of requests from other people. What will you do to simplify your life this month? Take a look at your life. Where do you see excess around you? Is your life cluttered with things you don't need or use? Is your schedule so full that you have no free time for yourself? These are a few good places to begin purging and simplifying. Try to simplify one area of your life - your job, your home, your spending - at a time. If you do too much at once, you'll just be overwhelmed. And tackle the biggest thorn in your side first. Then you can move on to the next item. Make a list of small changes that you can immediately put into place. If you want less stuff, clean a few things out of your junk closet. Then, you can consider bigger changes, like trimming down to one car or moving to a smaller house. Life doesn't require that we best the best, only that we try our best. Strive for excellence, not perfection.